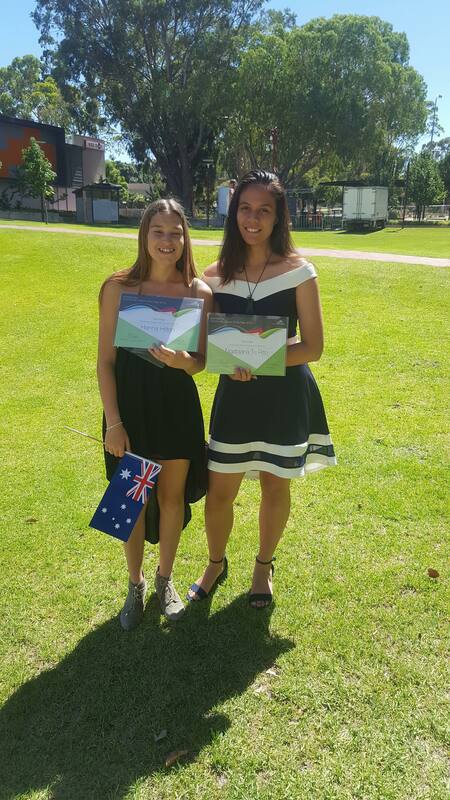 Australia Day 2018 was a memorable day for two students from Southern Hills Christian College as they were awarded Youth Citizen of the Year awards at the Memorial Park ceremony hosted by mayor Henry Zelones. Year 11 students Ngataaria and Hanna were notable inclusions in the award service, with both students having excelled in the recent ‘Armadale Aspire’ program run by Ashleigh Tapper from the City of Armadale’s ‘Youth’ program. “Ash was amazing to us on the course. She was an inspiration to us as young women and I learned a lot from her,” said Hanna, who gained work experience and CV writing training from the course. “Its because of Ash helping that I got a part-time job,” said Ngataaria, who now works in Armadale on weeknights and weekends. Record numbers of around 30,000 attended Minnawarra Park and Memorial Park ceremonies, and it was a festival of all ages and cultures. The formal proceedings were followed by live entertainment from local performers, food, rides, and children’s activities. Caption: Southern Hills students Ngataaria and Hanna with their City of Armadale ‘Citizen of the Year’ awards.